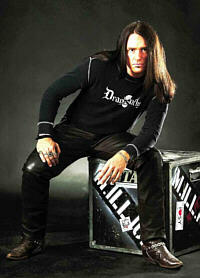 B.J Laneby, Bassplayer of M.ILL.ION gave an interview to our editor Nathalie Mohr. Thank you very much for taking your the time for this interview. Please introduce yourself to the readers who probably don`t know you yet. 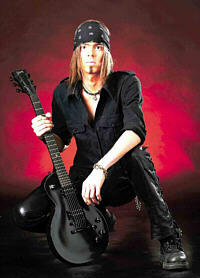 I´m B.J Laneby, the founder member and bass guitarist of this band. I´m tall, blond and crazy, hahaha. M.ILL.ION started back in 1989 in Gothenburg Sweden and have done 5 albums by now: No.1, We Ourselves & Us, Electric, Detonator and Kingsize. The first three with our original singer and guitarists and the last two with a new singer and guitarist. I´ m proud of them all, but Kingsize rocks big time and has received fantastic reviews worldwide. 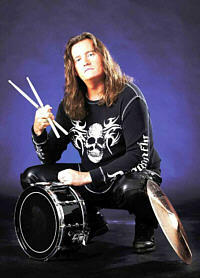 We´ve toured with bands like Magnum, Nazareth and Michael Schenker Group as well as on our own. We have fans all over the world but we haven´t been to Germany yet. But that will change now! Why did you leave the scene and why did you return now? We´ ve been working all the time, but sometimes You need peace and quiet. For the last album we locked us in for quite some time to concentrate on writing our best album ever. We also wanted to find a new recordcompany. Is there a clear cut or in other words a new beginning between the present and the older albums or was it just a kind of taking a time out for you? The line is drawn after our 3:rd album Electric, the last one with "the old team". 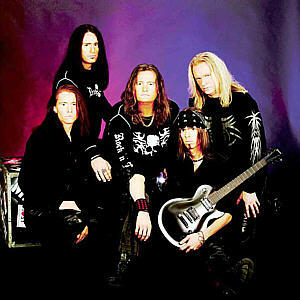 Before Detonator (2001) Ulrich Carlsson (leadvocalist) and Jonas Hermansson (leadguitar) joined and they´ve been great. 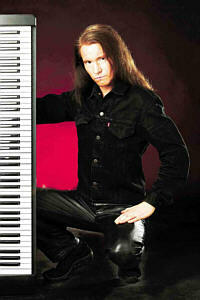 Before Kingsize we also have a new keyboardplayer in Johan Bergquist and he´s a great musician and contributor as well. So the band has never been stronger music wise. I think the MILLION sound has been there all the time, no matter line up, it´s just developed and fresh blood is always healthy. Were there any changes in songwriting, producing, etc. for the new album? Probably a new strategy or form to create an album or was it just "the old routine"? As I said we, who write songs, locked us in for about 6 months just concentrating on writing. We recorded and collected all the rough song ideas on a computer and then we picked the best stuff for rehearsals. Good method! We were well prepared so the recordings went pretty fast. Recorded it at the Jonsered Recording Studio in our hometown and then mixed it in a bigger studio (The Mix Room). We went for a combination of power and melodies and it´ s up to You to decide if we succeeded.. I think it´ s our best sounding album ever. On your homepage you are titled as "SWEDEN`S NO.1 HARDROCK BAND". Was the titel an idea of your label/management (or the press) or do you see yourself as Sweden`s no. 1 concerning Hard Rock? Many journalists and biz people have named us that. Who am I to argue, hahaha. Why did you chose the name "Million" and what is the meaning of this abrevation? We have a big approach. Our sound is big and we treat every show, big or small venue, as an arena. We wanted a big name. A word You can see in the headlines. 1.000.000 (in Germany, too; remark of the editor) - and it makes people curious! It´ s one of the most frequent questions I get at interviews, so I guess it works hahahaha. How did it happen that you contributed a song to the computer game "NHL 2003"? We were approached by a guy who helped EA Games put suiting actionpacked music on their hockeygame. They liked the song very much. It´ s an honour and we´ re all hockeyfans so. I have it here and it´ s cool to hear our song Showstopper (from Detonator) when You score! Will you play in other german cities beside Hamburg during the tour? Certainly hope so. We hope to come back later to do a big tour, maybe as special guests. But first: We´ ll play Hamburg´ s Headbangers Ballroom on February the 23:rd - M.ILL.ION´s first ever German show! Come along if You can, we´re gonna rock! How did it happen that you go touring the UK with Waysted? Well, Waysted are also signed to Majestic Rock. 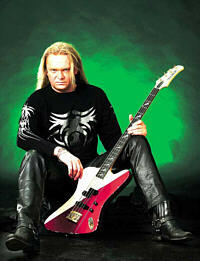 Pete Way (UFO & Waysted) is one of the reasons I started to play bass so it´ s a cool thing. He´ s a great performer and a legend, now also friend. The UK tour is now postponed ´till September, but there are also talks about doing dates in Germany before that. Cross Your fingers! Do you strive to play on (summer) festivals? We would love to do festivals, we enjoy playing them very much. Suits us good, big stages and big audiences. Fun to meet other musicians as well. If we´ ll be invited, we´ ll come. What plans do you have for the time after the tour? Could one probably expect a DVD? There might be a DVD actually. The label has mentioned it and we will film some shows. After finished touring Kingsize it´ s time to do a new album. We hope to have the next one out early 2006. Would you like to record a concept album ever? Could be interesting, but I´ m not sure it´ s the right thing for us. But who knows what the future will bring? In that case it must have a v e r y good and bearing theme. My guess is You´ ll see a live album before that. We are a live act. What is your attitude towards internet magazines like Soulburner.de? I´ m very positive. You do a great job for the scene. Keep flying the flag for hardrock/metal! Thank you for your time. The last words belong to you! Hope to see all You German fans on tour soon! Check out Kingsize in the meantime, if You haven´ t already. If You like that, there are 4 more M.ILL.ION albums out there to be discovered! We play material from most of them live! Watch out Hamburg on February 23 - we´ ll party hard together!!! Stay safe everyone and keep rocking.